This is the home you've been waiting for. Seller has made nice updates to include New Kitchen Countertops, and main bath, Fresh new paint in Lower level and new heat pump in 2018. Roof replaced in 2015. 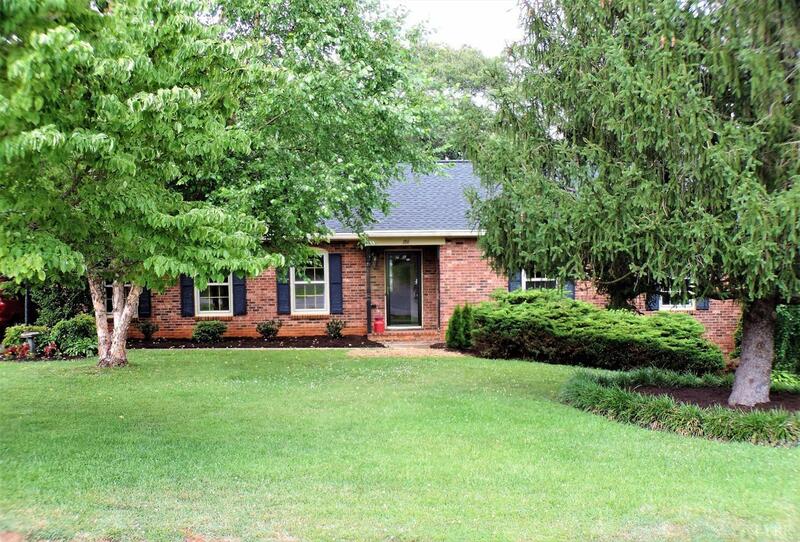 Solid Brick Ranch in the Quiet Sought-After neighborhood of Windsor Hills in Lynchburg. This home has 3 Bedrooms, 3 Full Baths, Formal Living & Dining Rooms, Large Eat-In Kitchen and a Family Room with Stone Fireplace all on the First Floor. The Landscaping in the Front has been refreshed with New Shrubbery and Plant Beds. Down Stairs has a Huge Rec-Room with Bar area for entertaining and a Brick Fireplace. The Lower Level Opens to the Beautiful Back Yard with Mature Trees, and a Patio Area for Cook-Outs. New Carpet upstairs in 2018. All this is Move-In Ready. It Won't Last Long so Call Today.